So, you’ve finally set yourself up after buying Bitcoin and you’re now ready to use it. Maybe you’ll buy digital art online! Or maybe you’ll buy yourself a cup of coffee at the chic café around the corner. Oh, but wait; how will you pay for it without bringing a desktop to the shop? That’s the exact problem which mobile bitcoin wallets are here to solve. Mobile wallets are just like regular software wallets for your computer, except you can take them with you wherever you go, on your smartphone. If you’re serious about using Bitcoin in your day-to-day life, and you happen to have an iPhone or iPad, then you’ll definitely want to read on to learn how to store your Bitcoin on an iPhone or other iOS devices. It’s settled: you need a mobile wallet for iOS — but there are dozens of them, so which should you pick?! As it turns out, most wallets offer pretty similar functionality, so you’ll really just be looking for the easiest to use. To help you out in picking an iOS Bitcoin wallet, we’ve compiled five of our favorites which we’ll let you choose from. 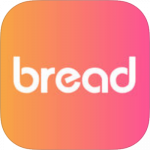 Bread (previously known as breadwallet) is our favorite mobile wallet for iOS. It’s an extremely lightweight app with three priorities: ease of usage, security, and cost-effectiveness. This app offers one-tap payments online or in person, along with a simple recovery phrase in case you lose access. The best thing is Bread is that it acts directly on the Bitcoin network, which means there are no extra fees or costs. Lastly, it’s just added the option to buy Bitcoin directly in the US. They have also announced they will soon be launching Ethereum support along with Ethereum tokens. Airbitz is definitely one of the most popular iOS and Android wallets out there. It features an integrate buy/sell solution for customers in the US and Canada, along with the unique functionality of being able to pay by Bluetooth. This app supports multiple wallets with different names, and takes security extremely seriously — both with two factor authentication and recovery options. Finally, it has a built-in directory for finding Bitcoin friendly businesses. Copay is yet another fantastic mobile wallet, developed by the very reputable Bitpay. It has all the features you would expect, plus support for multiple languages and multiple wallets. It also allows more than one user per wallet, like a “joint-checking account” as they describe it, which makes it unique from many other Bitcoin apps. It’s also open source and is considered to be one of the securest options on the market, although some users have complained about the fees. Coinbase isn’t really a true wallet — it’s an online wallet, which means that it’s a bit like a bank. They store your Bitcoin for you, but supposedly you’re able to use it whenever you want. The reason that we’ve put Coinbase fourth on the list, despite not really being a true mobile wallet, is that in being so it has a few benefits of its own. For example, you’ll be able to access the same online wallet both from your mobile and from your computer, and you don’t have to worry about your phone being compromized because any Bitcoins are stored on Coinbase’s end. This app also offers support for the Ethereum and Litecoin cryptocurrencies, and acts as a bit of an exchange, allowing you to purchase Bitcoin directly using fiat currencies. Blockchain is a free and easy to use wallet for iPhone, iPad, and iPod touch. It has all the basic features, including a PIN security system and support for QR codes. What’s more, it’s an open source app which means that the code’s out there if it needs to be scrutinized for security or integrity. It also features dynamic exchange rates for your favorite fiat currencies, so that you know how much you’re spending, along with the option to customise your balance into Bitcoins, thousandths of Bitcoins, or millionths of bitcoins. Overall, it’s a solid wallet, but it doesn’t have any special features. Just like with storing Bitcoin on a computer, you’ll need some kind of a wallet to store Bitcoin on an iPhone. Wallets are apps that store all of your private keys, which are basically the passwords to your money, in a way that’s secure but still easy to use. If it weren’t for wallets, you’d have to type in a few hundred characters every time you wanted to send money! With a mobile wallet, you’ll be able to store your cryptocurrency and use it on-the-go, even if it’s just to buy that cup of coffee you’ve been thinking about. It couldn’t be any simpler, either, because most good wallets will allow you to share your receiving address with a few taps, as a barcode-like picture called a QR code or as a plain text message, and will allow you to send coins by pasting in an address or scanning someone else’s QR code with your smartphone camera. What is the best iOS bitcoin wallet that is easy to use and you can start holding bitcoins asap? I am a big fan of the bread ios app. It’s a very simple bitcoin wallet that connects directly to the blockchain. This is great for security as well as sending and receiving bitcoin with no registration required. You can also buy bitcoin via the app through one of their trusted bitcoin exchange partners.